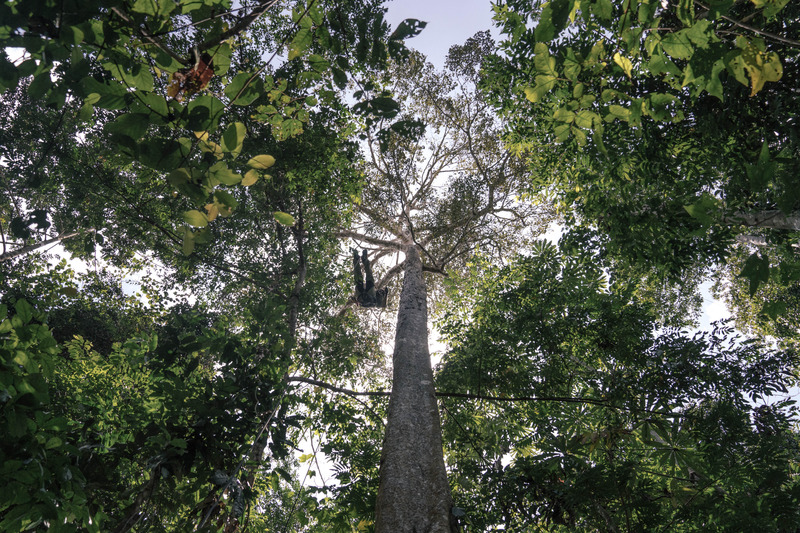 Editor’s Note: Rainforest Connection is using technology to protect the rainforest. Founder and CEO Topher White shares how TensorFlow, Google’s open-source machine learning framework, aids in their efforts. For me, growing up in the 80s and 90s, the phrase “Save the Rainforest” was a directive that barely progressed over the years. The appeal was clear, but the threat was abstract and distant. And the solution (if there was one) seemed difficult to grasp. Since then, other worries—even harder to grasp in their immediacy and scope—have come to dominate our conversations: climate change, as an example. So many of us believe that technology has a crucial role to play in fighting climate change, but few are as aware that “Saving the Rainforest” and fighting climate change are nearly one and the same. By the numbers, destruction of forests accounts for nearly one-fifth of all greenhouse gas emissions every year. And in the tropical rainforest deforestation accelerated on the heels of rampant logging—up to 90 percent of which is done illegally and under the radar. Stopping illegal logging and protecting the world’s rainforests may be the fastest, cheapest way for humanity to slow climate change. And who’s best suited to protect the rainforest? The locals and the indigenous tribes that have lived there for generations. 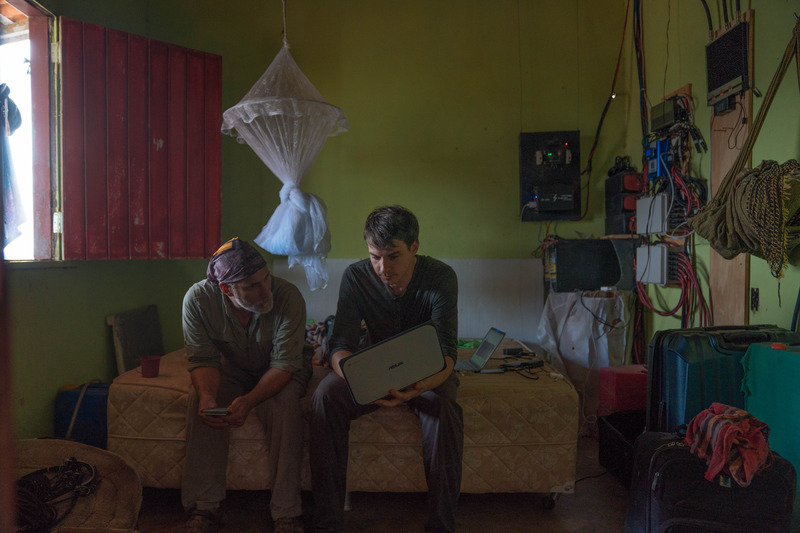 Rainforest connection is a group of engineers and developers focused on building technology to help locals—like the Tembé tribe from central Amazon—protect their land, and in the process, protect the rest of us from the effects of climate change. Chief Naldo Tembé reached out to me a couple years ago seeking to collaborate on ways technology could help stop illegal loggers from destroying their land. Together, we embarked on an ambitious plan to address this issue using recycled cell phones and machine learning. Our the team has built the world’s first scalable, real-time detection and alert system for logging and environmental conservation in the rainforest. Building hardware that will survive in the rainforest is challenging, but we’re using what’s already there: the trees. We’ve hidden modified smartphones powered with solar panels—called “Guardian” devices—in trees in threatened areas, and continuously monitor the sounds of the forest, sending all audio up to our cloud-based servers over the standard, local cell-­phone network. 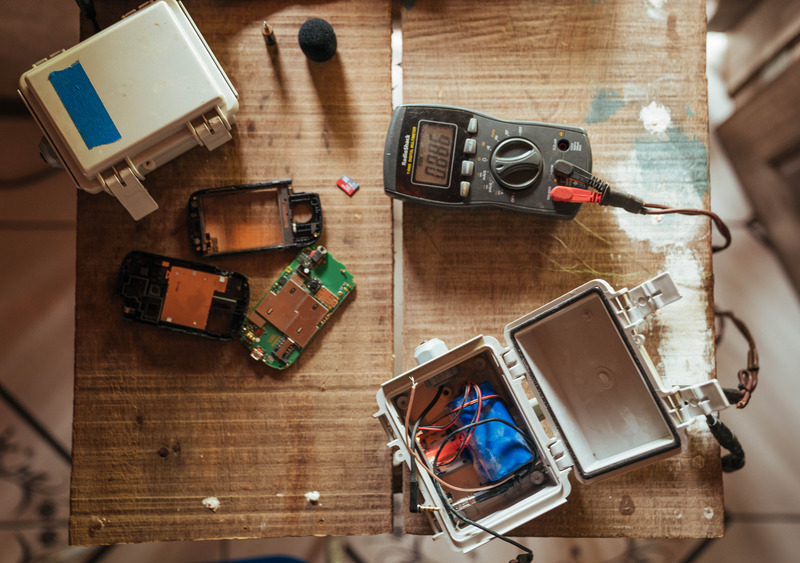 A recycled Android phone is transformed into a solar-powered acoustic monitoring device that listens to sounds of illegal logging in the area. Topher and a Tembé tribesman hide a solar-powered acoustic monitoring device high up on a tree. 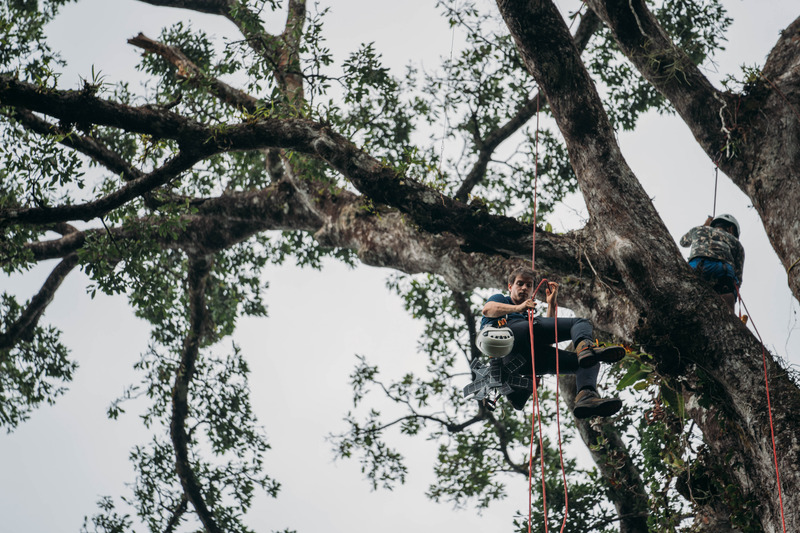 A member of the Tembé tribe climbs down, having just installed another acoustic monitoring device that listens for sounds of chainsaws and logging trucks. Topher works with the Tembé tribe to analyze the sound data captured by the hidden cell phone devices using TensorFlow. Once the audio is in the cloud, we use TensorFlow, Google’s machine learning framework, to analyze all the auditory data in real-time and listen for chainsaws, logging trucks and other sounds of illegal activity that can help us pinpoint problems in the forest. Audio pours in constantly from every phone, 24 hours a day, every day, and the stakes of missed detections are high. That’s why we’ve come to use TensorFlow, due to its ability to analyze every layer of our data heavy detection process. The versatility of the machine learning framework empowers us to use a wide range of AI techniques with Deep Learning on one unified platform. This allows us to tweak our audio inputs and improve detection quality. Without the help of machine learning, this process is impossible. When fighting deforestation, every improvement can mean one more saved tree. The next step is to involve those who will inherit the planet from us: kids. Today, we’re launching the “Planet Guardians” program with hundreds of students from Los Angeles STEM science programs. These students will speak with the local Tembé Tribe through Google Hangouts and build their own Guardian devices to be sent to the Amazon. We expect that the Guardian devices built by these LA students will protect nearly 100,000 acres through the year 2020. With technology, and the possibilities that TensorFlow opens up for us, Rainforest Connection will continue to do our part in the fight against climate change. And programs like “Planet Guardians” will ensure that the next generation is a part of this fight, too.